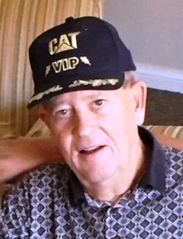 Mark Lee Duvendack, 73, of Peoria, passed away at 1:15 am Thursday, March 28, 2019 at OSF St. Francis Medical Center in Peoria. He was born September 25, 1945 in Peoria to Wallace and Corlista Kinnett Duvendack. He married Carol Batchelor in Peoria on September 20, 1966. Surviving is his daughter, Michelle (Brian) Hammond of Germantown Hills; son, Troy (Keri) Duvendack of East Peoria; four grandchildren, Isabel and Griffin Hammond, and Clayton and Kaylee Duvendack. He was preceded in death by his parents; and brother, Gene. Mark was a United States Navy Veteran. For 37 years, Mark was employed by Caterpillar Tractor Company, in purchasing, retiring in 2005. During his career, he especially enjoyed his overseas travels. Mark’s hobbies included bass fishing and golf. In lieu of flowers memorials may be made to Freedom Service Dogs of America, 7193 S. Dillon Ct, Englewood, CO 80112. Cremation rites have been accorded. A memorial visitation will be held from 5 to 7 pm Thursday, April 11, 2019, at Deiters Funeral Home and Crematory in Washington. Inurnment with military honors will be Friday, April 12, at 11:00 am at Swan Lake Memory Gardens in Peoria.